Looking to hire the perfect wedding caterer for your big day? It can be tricky to know where to start, especially when you consider all of the dietary requirements of your guests, the dreaded ‘cost per head’ figure and whether it will match your theme. We’ve broken down everything you need to consider when looking for the perfect wedding caterer to make sure it falls within budget and leaves your guests well-watered with satisfied, full bellies as you carry on the celebrations! You’ve found the perfect venue, the dream dress has been sent off for fittings and the best man has been briefed about what he should and shouldn’t mention in his speech - but what’s on the menu? Do you fancy something slightly unusual to get your guests talking? Are you vegan and struggling to find the perfect caterer to show off just how amazing a plant-based menu can be? Do you want to find a supplier who can provide a sense of theatre to the occasion with their service? 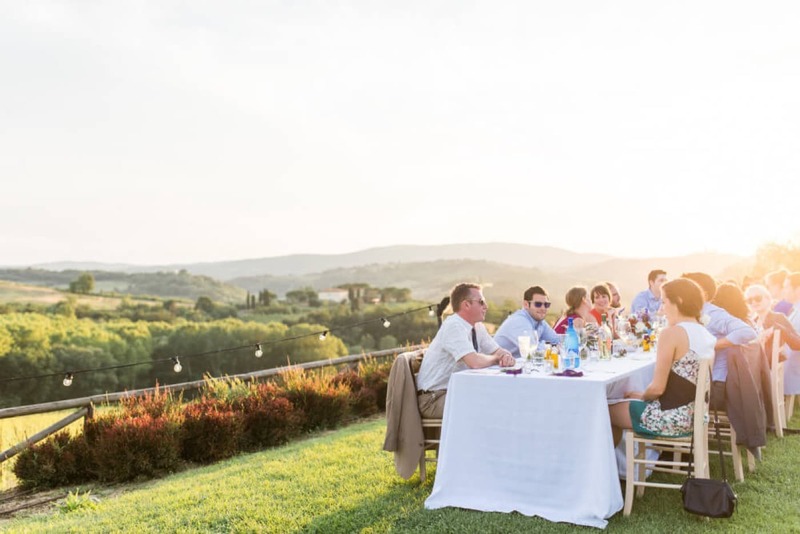 It can be an overwhelming task on first approach and the overriding question which looms over your search is always ‘But wait, how much does wedding catering cost? !’ Fear not! We can help. When you type ‘wedding catering’ into Google, 387,000,000 results are returned. You don’t need this when your wedding to-do list is already as long as the train on your dress do you? Booking wedding catering should be a fun and tasty expedition into all the incredible cuisines and aesthetics on offer! 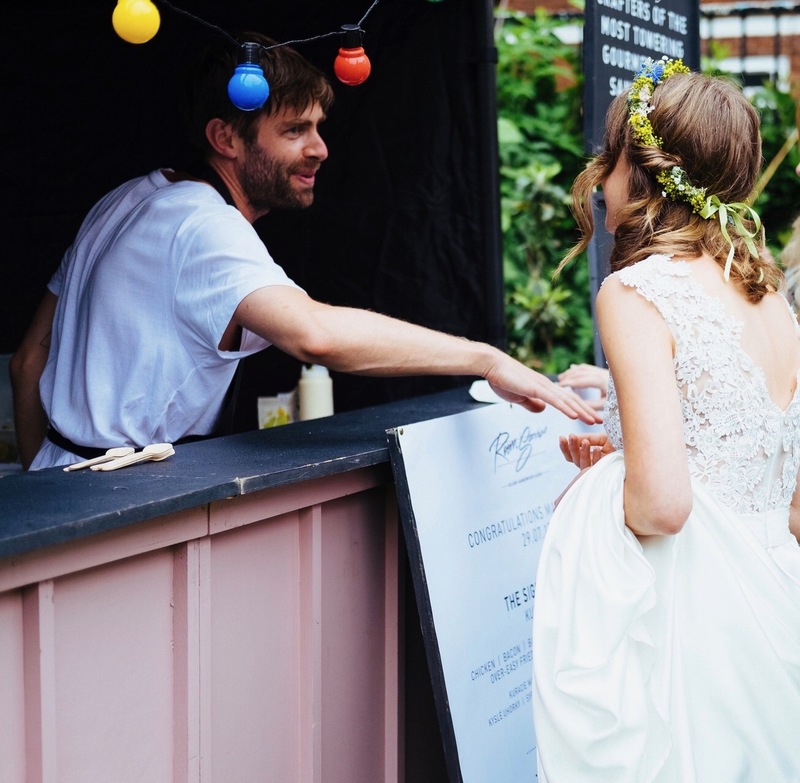 We’ve partnered with over 650 of the UK’s most delicious street food suppliers, mobile bars and restaurants to give you quality choice when searching for your ideal wedding menu. We’ll find the perfect wedding catering to suit your tastes and budget so you can concentrate on writing your vows and throwing the event of the year! 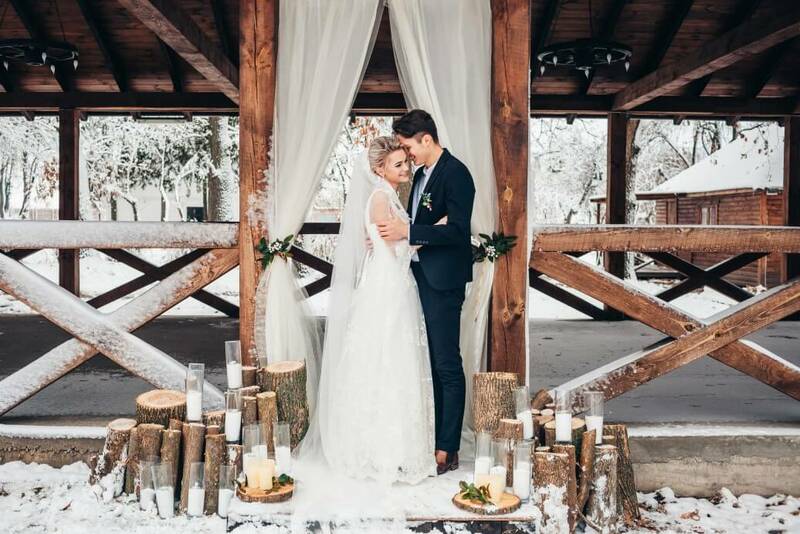 Take a look below to find out everything you need to consider when booking your wedding catering and how cost can be affected by service style, food type and other variables! What’s the average cost of wedding catering? Seeing as your wedding day is likely the most personal event you will ever hold, it’s hard to grasp an ‘average’ cost - there’s nothing average about celebrating the biggest day of your life! Last year, The Money Advice Service released a report on wedding catering prices which stated that UK couples spend around £4000 on average on the perfect menu. This is all well and good but this figure depends on two very important figures you need to keep front of mind when booking your wedding catering: how many mouths are you feeding and what type of food do you want to feed them with? It’s very easy to spend a lot more than this - or even, a lot less. Obviously, you may want to go all out. If you’re after an extravagant sit-down dinner for 300 people, hors d'oeuvres and drinks, as well as a late-night snack option, the costs of wedding catering can really add up. 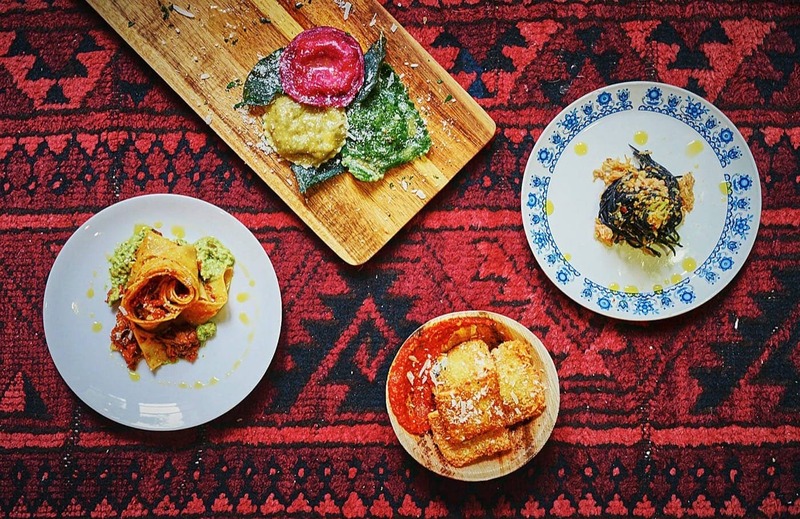 But if you’re after a more thrifty option which doesn’t compromise at all on flavour, buffet options or quirky setups such as food trucks and mobile bars can really help you to save a few pennies. What affects the price of wedding catering? ‘Price per head’ will surely be the phrase haunting all your dreams if you’ve been planning your wedding for a while now. Of course you want every one of your guests to have the best time on your big day and be overwhelmed by just how delicious your menu was! Make sure your have a firm figure in your head when negotiating a price with your prospective wedding caterer, as all food is charged per plate or head depending on the style of service you choose. It’s simple, quick maths - the more guests you have, the higher the overall catering cost. Don’t be the dingus who forgets to factor in the plus ones - they can be easy to overlook sometimes so make sure they’re accounted for to keep you budget in shape! For a larger wedding, you may want to consider one of our street food suppliers to keep your guests full and happy during the evening’s festivities. A great example would be CHEEKY BURGER. Having catered for countless weddings, this husband and wife team gladly personalise menus to suit your big day and their award-winning burgers do the talking for themselves. 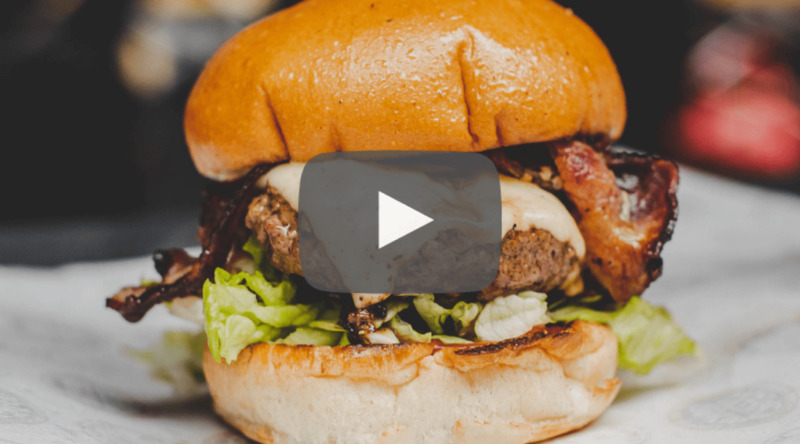 Take a look at our video above for a taste of their incredible food and more about the brand! Want to browse more food trucks? Check them out HERE. Or if your head count is a little more intimate, how about one of our innovative supper club suppliers to bring a certain je ne sais quois to your wedding breakfast? DINNER LADIES serve inspired food from across the globe; their inspiration comes from their experience teaching cookery and living in Asia. All the food Dinner Ladies produce is second to none, with no holds barred when it comes to flavour and quality. With some amazing clients including Airbnb, Universal, Conde Nast, Soho Revue and Tatler to name a few, you’ll really be giving your guests a treat to talk about! 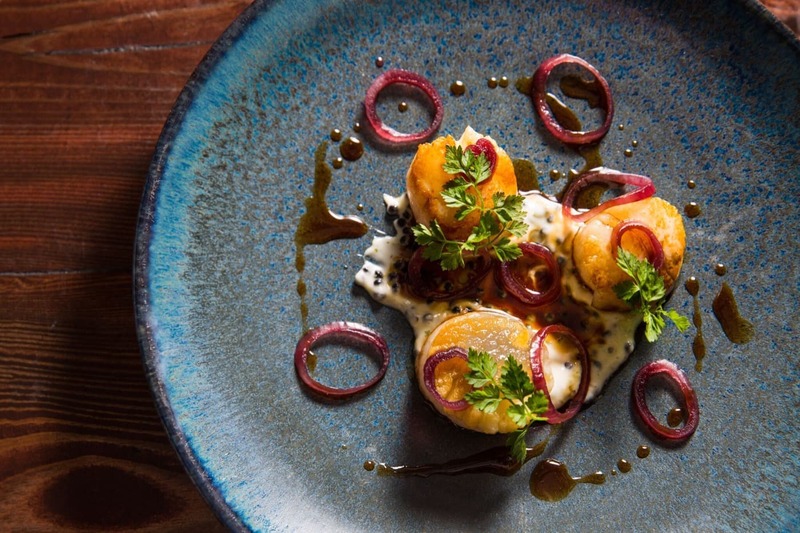 You can find more of our restaurants, private chefs and supper club caterers HERE. A great way to keep costs down is to choose a caterer who prides themselves on sourcing local, seasonal products. Those delicacies you love such as oysters could set you back a pretty penny when it comes to price per head for 100 people! Another consideration is you menu; one set menu will definitely be more cost effective than a menu that’s full of options - more options equals more produce for the caterer to buy which equals more money! Are you looking for a traditional wedding breakfast with stunning plates and sit-down service? Or how about a food truck for a tasty midnight snack? Depending on what you’re looking for, prices can vary a considerable amount when it comes to setup and service. Whilst a food truck could cost you in the region of £7 - £15 a head, you’d be looking at a much heftier price tag for more traditional catering which costs around £30 - £100 per head on average, although they can easily be more! We pride ourselves on our quality of supply and know that you’ll find the perfect fit from our extensive supply base for your wedding. Thinking about hiring a food truck? You’ll want a centre-piece to wow your guests then won’t you!? Check out our most show-stopping food trucks HERE. How can Feast It help? Having catered for hundreds of weddings, we know exactly what works best at all kinds of weddings and we’re always scouting out new and exciting chefs, suppliers and talent to provide you with the utmost quality when it comes to the food and drink on your big day. Our dedicated account managers will work closely with you, listening to all of your requirements to ensure they find the perfect suppliers for your event, curating your booking from start to finish. Initially, our expert account managers will want to get an idea about you, what you like, what you don’t, your wedding theme and any dietary requirements to be aware of. We’ll find the perfect wedding catering to suit your tastes and budget so you can concentrate on writing your vows and throwing the event of the year! Want to have a look at what’s on offer? You can browse all of our incredible suppliers HERE.